I’m delighted that my Vampire Over London: Bela Lugosi in Britain co-author Frank J. Dello Stritto has been voted “Monster Kid of the Year” in this year’s Rondo Hatton Classic Horror Awards. Frank has been researching and writing about horror films since the 1960s. Hailed as one of the “most eloquent chroniclers of horror films,” he has earned a dedicated following among both his peers and fans of vintage monster and horror films through his many articles in Cult Movies Magazine, his contributions to books by Bob Brier, Bob Madison and Gary Don Rhodes’ Lugosi, and his own books, Vampire Over London: Bela Lugosi in Britain, A Quaint & Curious Volume of Forgotten Lore – The Mythology & History of Classic Horror Films, and I Saw What I Saw When I Saw It – Growing Up in the 1950s & 1960s with Television Reruns & Old Movies. 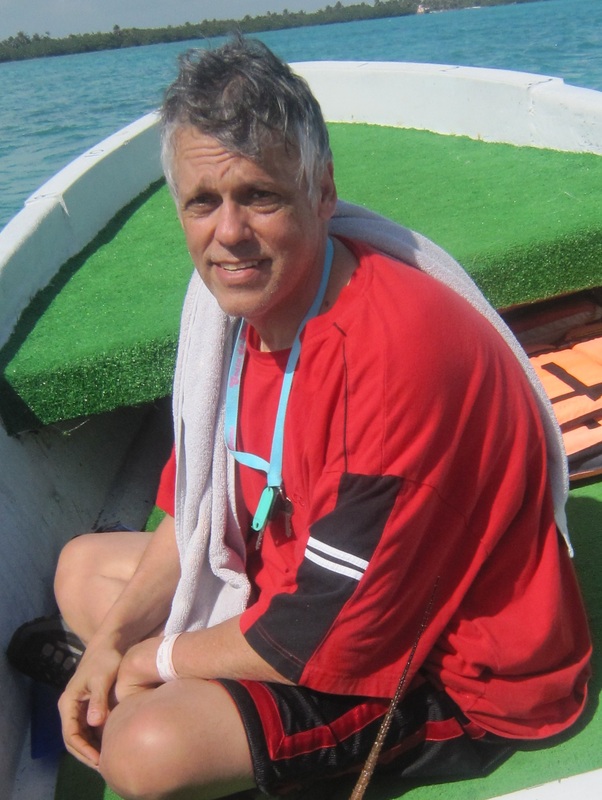 In addition to his writing, Frank is a popular speaker on the film convention circuit, a frequent guest on Joe Viglione’s Visual Radio. Even vampires know the dangers of obsession. In Dracula, the vampire’s slave becomes so obsessed with his master that he puts the vampire hunters on Dracula’s trail. In Return of the Vampire, the werewolf slave is devoted until betrayed. Then he turns on his master. In Abbott & Costello Meet Frankenstein Lawrence Talbot is obsessed with Count Dracula, and travels the world to destroy him. My search for Bela Lugosi is not the search for Bela Lugosi. Through a half century of fandom, I have met many people with varying degrees of obsession over movies stars dead many years before they were born. More than a few obsess over a horror movie actor who made a handful of fine movies, a lot of bad movies, and died in relative obscurity when I was six years old. My search is exactly that: mine, a personal adventure that I explain to others only with difficulty. My obsession with Lugosi fills something inside me. My Saturday afternoons watching old movies make me a fan of Johnny Weissmuller’s Tarzan, Basil Rathbone’s Holmes, and Nigel Bruce’s Watson; of Lon Chaney’s lonely souls and the mad doctors of Boris Karloff, Lionel Atwill, and George Zucco; of the bizarre characters portrayed by Sidney Greenstreet and Peter Lorre. Of many comedians: Laurel & Hardy, Abbott & Costello, Olsen & Johnson, and The Marx Brothers. None approach the impact of Bela Lugosi. 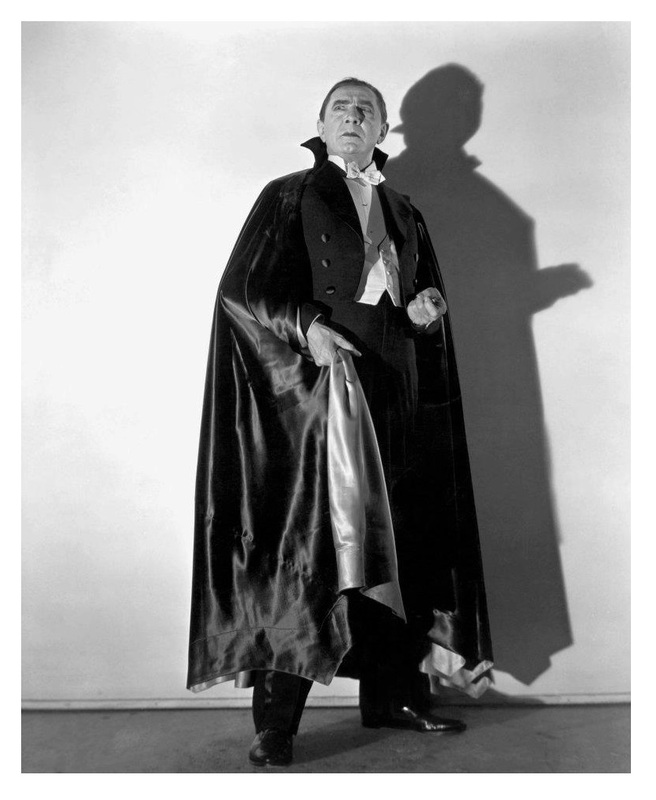 On seeing his Count Dracula in Abbott & Costello Meet Frankenstein, I become something more than a fan. I have no memory of Lugosi before seeing Abbott & Costello Meet Frankenstein in 1961. Sometime in my earliest years, I had seen You’ll Find Out and The Body Snatcher, and have only vague recollections of Lugosi. His swami in You’ll Find Out delivers an eerie touch in a séance scene. In The Body Snatcher, Lugosi does little more than die, but his body is pulled from a vat of brine in the movie’s grisly scene. Such moments stay with a child, and might have made the same impression had another actor played the roles. I have a primordial memory of Lugosi from Chandu on the Magic Island. A tiger in a pit threatens a man dressed in white. That image is all that I remember. I am very young, and sketch the scene in crayon for Momma’s approval. A tiger’s paw, talons cocked, ready to dig into the heel of the fleeing man in white. My masterpiece is long gone; but I remember it clearly. Lugosi inspired it, as he races through the catacombs of lost Lemuria. Does my life-long fascination with Lugosi spring from nothing more than an ancient memory of terrors that my little self had to capture in a drawing? I will never know. Before Abbott & Costello Meet Frankenstein begins at 2:00 pm on June 24, 1961, I am already a big fan of the comedy team. That afternoon I become a fan of the classic monsters, and devoted follower of anything Lugosi. I leave that hour and a half in front of the television with a resolve not only to see all of Lugosi’s movies, but to know more about his life. That very afternoon, as Momma prepares supper, I ask her about Lugosi. Momma is a font of all things Hollywood, but for Lugosi she only says “he always played vampires.” I look forward to all these great vampire movies, but soon learn that they were very few. Lugosi plays “real” vampires in only three movies, and in two other films plays characters who turn out not to be vampires at all. That disappointment proves one of many as I embarked on my quest. The monster magazines often publish biographies of Lugosi. I read them all, but they are basically the same short pieces, maybe with different photos. Lugosi is a big reason that I start reading monster magazines, and a big reason that I stop. I want more than the typical fan magazine bios. When I learn that research libraries and newspaper archives exist, I descend on them convinced of the Lugosi arcania to be found. After my first visits, I suspect that archived facts of Lugosi’s life are as few as his vampire movies. The libraries hold many treasures, but yield their secrets slowly and only after many painstaking hours. Why Lugosi? Why anyone? What are fans like me looking for? Obsessive fandom is now part of popular culture. Supermarket tabloids regularly feature stories of celebrity-stalkers, and of fans who turn to plastic surgery to look like—in their own minds, to become—their idols. In the 1980s, the movies exploit the dark side of fandom in The Man With Bogart’s Face, The Seduction, King of Comedy, Garbo Talks, Misery. In Fade to Black, a killer stalks his victims dressed as his movie idols. One of them is Lugosi’s Dracula. I have met many ardent fans of celebrities. For most, the shrines are part of their youths, abandoned long ago. Since 1961, I have always had a shrine of sorts to Lugosi in my home. First, a modest wall space in my brother David’s and my bedroom that Momma lets me use, then my half of my college dorm room, and finally the better part of my bachelor apartment. Marriage and reality in general temper my expansive ways, but at least a small part of where I live is dedicated to Lugosi’s memory. Boys need heroes, but I have no need of a new one. In June 1961, Mickey Mantle, my great idol, races with Roger Maris towards Babe Ruth’s home run record. Mantle, like Davy Crockett and Superman, is for me adolescent hero worship. My fascination with Lugosi is more. I see beyond Dracula, and wonder about the actor who portrays him. Not that I have no desire to be like Dracula. I would love to have Superman’s strength, Mantle’s home run swing, Crockett’s marksmanship. And to control minds and transform into a bat like Dracula. 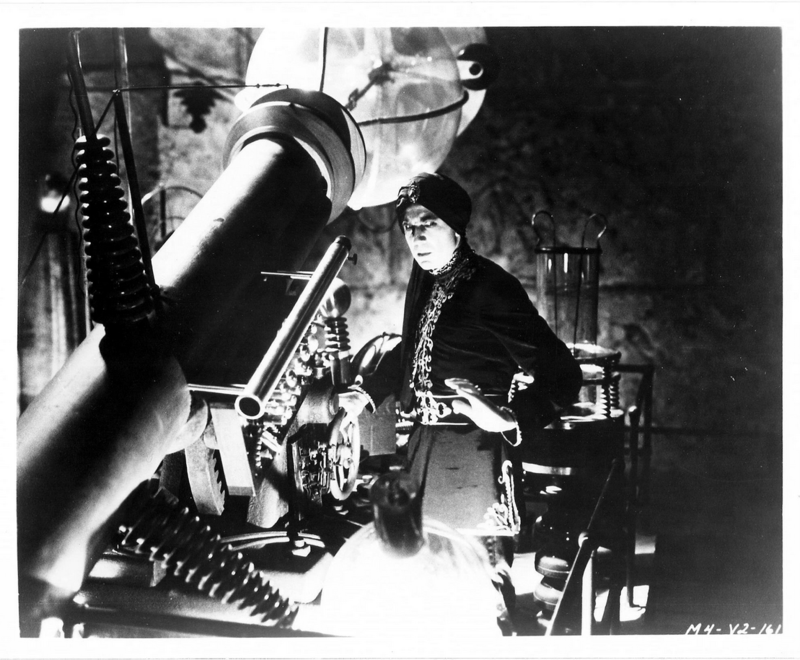 Soon, I am watching Lugosi’s mad doctor movies, and covet his crazy scientists’ creating monsters, and raising the dead. Yet always Lugosi, and not his characters, sparks my curiosity. His acting was so florid and yet so macabre that only some fanciful notion of Hungarian mythology could explain it. He could be frightening in a way that other actors in horror never achieved: because he appeared to believe in the literal meaning of the films. The living tableau of a silent stage actor trapped in modern sound movies. It is precisely because Lugosi was an anachronism, allowed to flourish by an accident of genre history, that he exercises such a fascination. Not bad. I admire both passages; but neither explains Lugosi’s hold on me. Perhaps an accident in timing explains my fascination. About the time that I discover Lugosi, I am beginning to understand that not everything in print is true. As Mantle and Maris hit home run after home run, the broader media covers their drama. A lot of misinformation, especially about Babe Ruth, appears in newspapers and on television. As a long-time watcher of Yankee broadcasts, I learned the saga of the team’s great players from the men who witnessed it. In 1961 I know more than a lot of the reporters about the home run race. No better place to grasp the limitations of the print media than in what is available on Lugosi. The Lugosi biographies in the monster magazines get the big picture right: born in Hungary, emigrates to America after World War I, hits the big time in Dracula, then is typecast in horror movies for the rest of his life. On the details, the magazines often falter, mainly through sins of omission. Much of Lugosi’s last years are lonely treks looking for paydays between film roles that became ever harder to land. In a short time, I know at least as much about Lugosi as anyone writing on him. In the early 1960s, not a hard plateau to scale. Mastering a subject, even one as obscure as the life of Bela Lugosi, generates its own inertia. The more I learn, the more I want to learn. For the first time in my life, the better I get at something, the better I want to be. Being an expert on horror films and Lugosi—being an expert on anything—becomes important to me. My Lugosi quest sometimes casts me as a defender of a Lugosi who can no longer defend himself. His stardom even after death rises and falls and rises. Through the 1960s, Lugosi morphs from an almost forgotten actor to a cult hero, then to a figure easy to mock. Whenever he is attacked, I plead his case, to the monster magazines (in letters never published), to adults and classmates less than entranced with the great man. Lugosi detractors have some good points: a lot of Lugosi movies are pretty bad. Through the 1960s, I watch dozens. Simply seeing a new Lugosi title thrills me. For too many movies, the thrill ends there. Still, I watch them again and again. More than once, when Momma pauses to watch a few minutes of a movie with me, and says “God, he was a lousy actor.” I do not agree. He is just an actor in a lousy movie. His attempts to breathe life into the most hopeless productions are part of his lore. Disdain for bad movies translates into a disdain for their star, which can extend even to his better films. 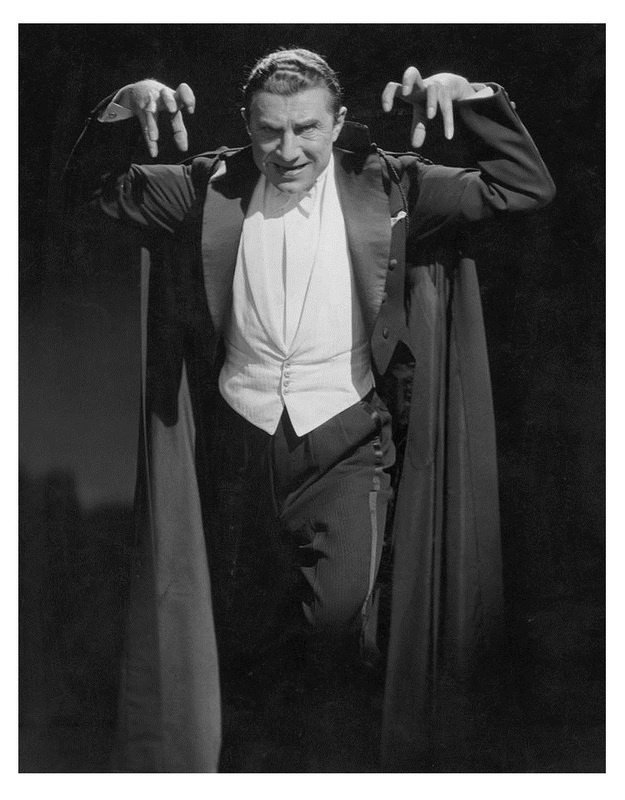 “A corny Valentino imitation,” writes horror author Stephen King on Lugosi’s Dracula, “which even hardened horror aficionados and cinema buffs cannot help giggling over.” King voices an opinion that grows more common as the 1960s progress. Through the 1960s, Lugosi’s supremacy as Dracula has a strong challenger. His vampire rises from the dead in October 1957 on television’s Shock Theater. Christopher Lee’s Dracula bursts into theaters seven months later. By 1973, Lee plays Dracula eight times, and through the 1960s, his growing fan base often insists on his superiority over Lugosi. I see my first Lee vampire movie in the late 1960s. My opinion: Lee vampire movies are lousy, and Lee isn’t much better. Less debatable is how little Lee is in them. For young boys, Dracula can be a test of manhood. To see Lugosi, we stay up late and watch a shadowy film alone in the dark. For Lee, kids in theaters sit through an explicitness cutting edge in its day. Perhaps the preference for Lugosi or Lee depends on which test a boy passes; or which he fails. On first try, I fail both. A coming attraction of Horror of Dracula plays at Lincoln matinees. It terrifies me and I have no desire to see the movie. No matter, Horror of Dracula never plays the day time show. Lugosi comes on too late, and I could not have stayed awake to see him even if my parents allowed. Lugosi wins the race to catch my attention. His movies migrate to more godly hours long before I have a chance at Christopher Lee. By the time that I catch up with Lee, the great war of 20th century vampires, for me at least, is long settled. On 1960s television, the Lugosi canon is about three dozen films that air with varying regularity on television. They range from classics of the 1930s to schlock of the 1950s. I watch these over and over. Those most often televised are low-budget mad doctor epics of the early 1940s. At least one plays every week. On New Year’s Day 1962, I bet my brother David $1.00 that a Bela Lugosi movie will play on television at least once a week through the whole year. As a child, I am prone to such stupid wagers. For about a month, we check the weekly television listings each Sunday, and a Bela Lugosi movie is always among them. David loses interest; but I keep checking for the movies. After 13 weeks the streak breaks. I say nothing to David, never pay the bet. About two dozen other Lugosi movies pop up rarely or not at all. I read often of these in the monster magazines, and know a lot about them. One by one most appear. For some—White Zombie, Chandu the Magician, or Mark of the Vampire—I have to wait until my college years of haunting revival cinemas in New York to see them. The Lugosi movies repetitively broadcast through the 1960s total less than 50 hours of running time. Lugosi’s actual time on screen is less than 10 hours. I have watched those 10-something hours more times than I can count. Some performances I greatly enjoy, and will no doubt see them many times yet to come. The older I get, the less patience I have with Lugosi’s “bad” movies, but the more I admire his “good” ones. Those few films, the canon within the canon, sustain my love of the actor; but something more than acting talent or onscreen charisma attracts me to Lugosi. In my 60 plus years, I have had few dreams that I remember. One dream I vividly recall comes within a year after seeing Abbott & Costello Meet Frankenstein. It stars Bela Lugosi and my sixth grade teacher, Mrs. Ruggles. My first afternoon with Abbott & Costello Meet Frankenstein comes just after my fifth grade ends in Woodrow Wilson Elementary School. I always dread the terrible teacher that I will face in September. The older kids impress on the younger ones the horrors that lie ahead. The tales always portray next year’s teacher as a decaying crone devising ways to make life hell. At Wilson School, the legends have some basis. As we move up in grade, the teachers get older, grayer, and meaner (except my fourth grade teacher, Mrs. Finelli, who is a saint). Warnings of all our earlier teachers pale before the legend of Mrs. Ruggles. Not only does she teach the highest grade in Wilson School, but she is also the Principal. Her double job forces her to stern discipline. When principal duties call, she has to leave the class, and only fear keeps us in line. Principal’s duties force Mrs. Ruggles to enlist her more trusted students as aides: delivering messages to teachers, getting visitors to the right places, minor clerical duties. By sixth grade, I have clawed my way back from the third reading group to the first, and am among those tapped. I do my share of time in her office. Thus, the dream. The dream comes in early 1962. Mrs. Ruggles pokes her head in the classroom, and calls me into her office. There, dressed in a pin-striped suit, is a benevolent-looking Bela Lugosi. He looks directly at me, and smiles, exactly as he smiled in real life, showing no teeth. 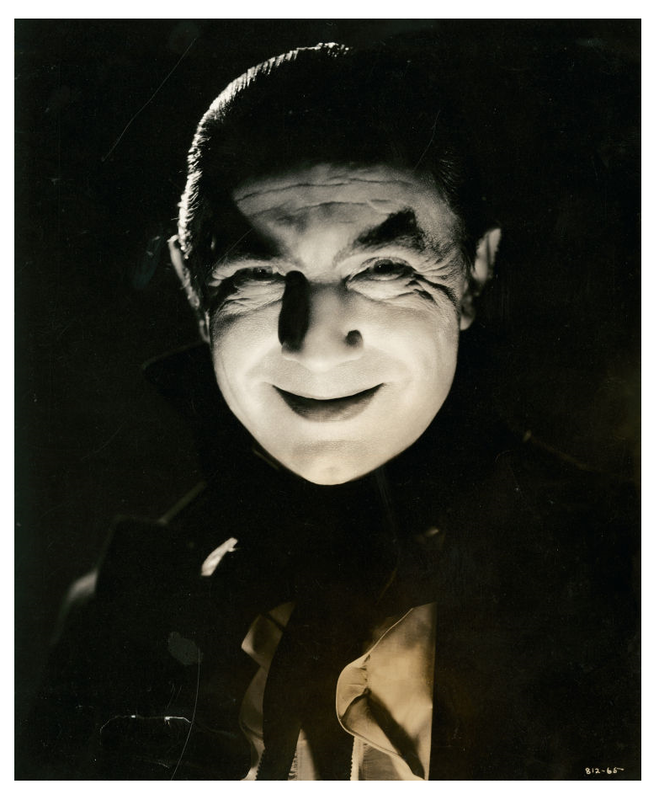 Lugosi, like a lot of his generation, had lousy teeth, and rarely showed them. I do not know that in 1962, but I must have seen a photo of him in one of the monster magazines and the image stays with me. 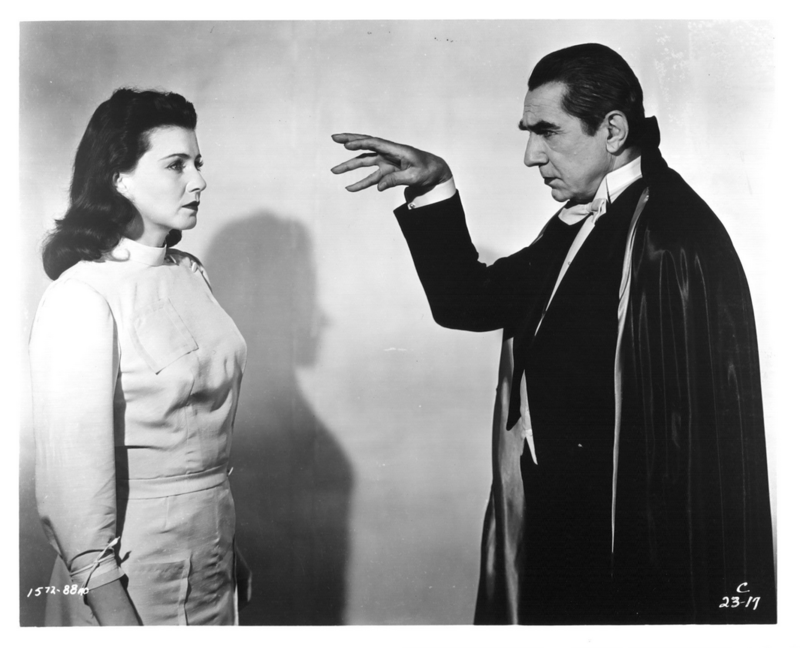 Lugosi and Mrs. Ruggles are discussing me. He assures her that I am a fine boy, to trust me, and to expect great things for me. That is the dream, all of it. Perhaps a minute of “dream time,” certainly no more; but I remember it clearly when I wake up the next morning. I often think back on the dream, but never probe it until I began reading serious essays on movie horror. The Wolf Man and Frankenstein’s Monster, I learn, are sons with issues. Dracula is always the father, the devouring parent, trapping young people forever as the Undead. In Abbott & Costello Meet Frankenstein, Dracula targets Wilbur Gray (Lou Costello). For Gray, Dracula’s plot means swapping badgering by Bud Abbott for servitude to Dracula. Pop, my own father, is in no way a devouring parent. In my school years, I see devouring parents in action, who set out to ensure that their children never leave home. That’s not Pop, who beams at even the most trivial achievement of his children. I tell him little about my doings because he cannot wait to tell his huge family. I did not relish them knowing my business. My never leaving home would never occur to Pop. He dreams of our launching ourselves into the world from our first breaths. His only dictum is that we go to college. I am not the best son for such a father. Pop never pushes. He has relatives who drive their sons onward but rarely upward, and has no intention of being like them. I like staying at home. Part of me probably yearns for a father like Lugosi’s Dracula, who would both keep me in the family fold, and demand standards that I should meet. That’s not Pop. Does my fascination with Lugosi fill a void in my relationship with Pop? What strikes me about the dream, and why I remember it so well, is its utter serenity. Lugosi radiates parental warmth. I feel great hearing him tell Mrs. Ruggles what a good kid I am. Maybe I want Pop to do that; but even in my dreams cannot envision him doing something so out of character. I know that he says great things about me, but never in my presence or outside the family. In 1958, Abbott & Costello make me a Saturday matinee kid when their movies lure me into The Lincoln. Three years later, they make me a Bela Lugosi fan via Abbott & Costello Meet Frankenstein. 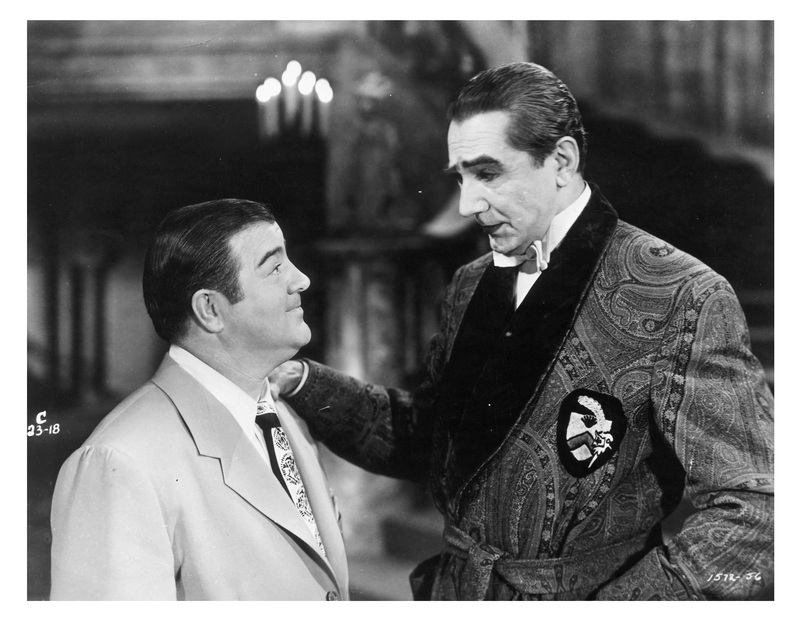 The link between Lou Costello to Bela Lugosi is not coincidental. Costello’s movie characters lead much more difficult lives than I do. No one slaps me around, berates my intelligence, or misinterprets innocent mischief. Maybe I suffer a little of all of that, and identify with Costello. Until I am eight years old, I am the baby of the family, and a natural homebody. How could I not identify with a hapless little man who struggles through a world that he barely understands? Millions of Baby Boomer boys agree with me, and Costello is beloved by my young generation. We might want to grow up to be Davy Crockett or Superman; but for the time being, we are Lou Costello. When Dracula turns his gaze on Wilbur Gray, Lugosi turns his on me. That gaze comes when Wilbur stumbles into a dilemma common to Lou Costello characters, and common to kids like me: he accidentally breaks something, and is now “in trouble.” The ghoulish exhibits in McDougal’s House of Horrors terrify Wilbur. He backs into a guillotine, which falls and lops off the head of a manikin. “Now you’ve done it,” chides Chick. Older brothers always distance themselves from the second born’s mishaps. McDougal is outside, fumbling in the fuse box. “Get rid of that,” says Chick, and goes outside. I identify with Wilbur. I would hide the head rather than hand it to short-fused McDougal. Wilbur swings open a coffin lid to ditch it; and up sits Dracula. Wilbur is caught red-handed, as Dracula rivets him with a stare of parental displeasure. I know that stare well. From the death ray in War of the Worlds, to the slow-burn rages of Mrs. Ruggles: I know the unblinking eye that sizes up its prey before it strikes. That eye comes often from Dracula in Abbott & Costello Meet Frankenstein. He saves his most penetrating looks for Wilbur. 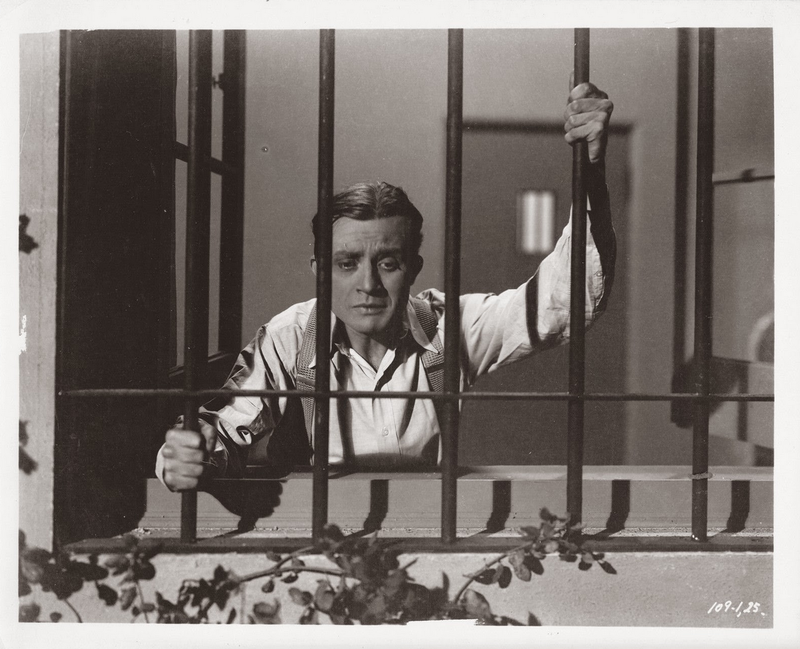 Dracula paralyzes Wilbur, revives The Monster, and escapes before McDougal restores the lights. No one believes Wilbur’s claims of the dead walking. Pleas of the young and naïve are easily dismissed or ignored. No wonder millions of little boys identify with Lou Costello. I am as mesmerized as Wilbur by Dracula’s stare. 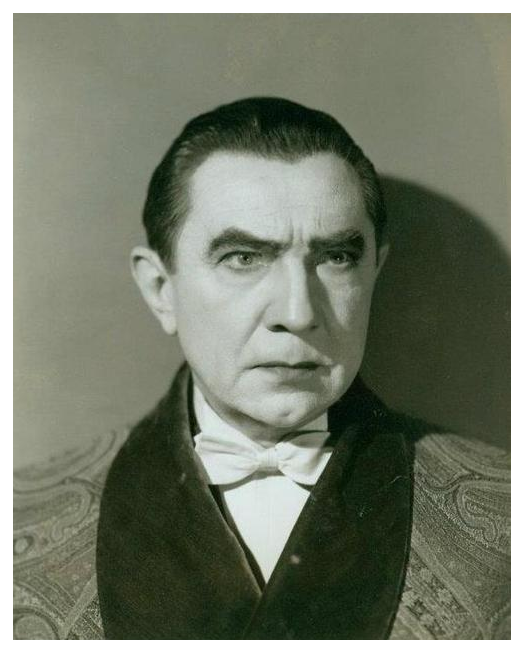 My identification with Costello transfers to a fascination with Lugosi. I am still enthralled by the scene, though I have now watched it hundreds of times. Dracula rises from his coffin, and waves his fluid fingers before Wilbur’s eyes. “Eye to eye,” Wilbur later recalls, “Eye to eye! Staring! I never saw anything like it.” Neither had I. In a wonderful touch, Dracula ever so gently taps his victim to make sure that the little man is completely under his spell, and steps back to admire his handiwork. Sandra: This thing is too dangerous. We ought to wait. Dracula: And jeopardize the success of the operation? Never! I must warn you my dear Sandra, I am accustomed to having my orders obeyed. Especially by women with a price on their heads. Sandra: Don’t try to scare me, Count Dracula. Here, The Secrets of Life & Death by Dr. Frankenstein. Memorize them. Operate yourself if you’re in such a hurry. Dracula: I have other means of securing your cooperation. Sandra: You’re wasting your time. My will is as strong as yours. Dracula: Are you sure? Look into my eyes. She does and is soon Dracula’s slave. Wilbur, Joan, Chick and The Monster also fall under Dracula’s spell. What boy could resist looking up to him? 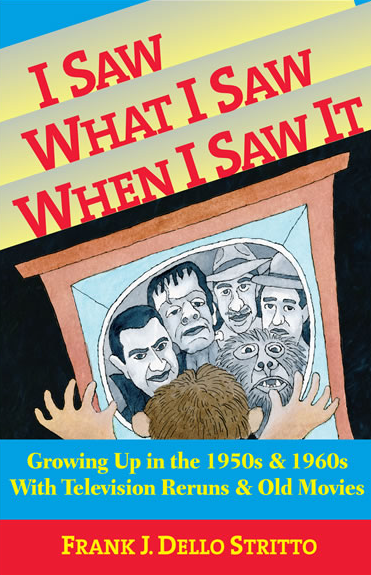 Abbott & Costello Meet Frankenstein parallels the monsters and the comedians throughout the story. Scenes often shift between The Monster and Dracula, and Abbott & Costello. The movie consistently bridges Wilbur to Dracula. In cutting between monsters and funny men, Wilbur and Dracula are in similar poses. Both men are dwarfed by their taller cohorts: Chick for Wilbur, The Monster for Dracula. The two women in the movie both kiss Wilbur, and both in turn receive the vampire’s kiss from Dracula. Lugosi would never be heavier than he is in Abbott & Costello Meet Frankenstein. Wilbur and Dracula are two round men, with slicked back hair. Costello could never be mistaken for Lugosi; but their appearances would never be more similar than when Wilbur and Dracula meet. The finale has extreme close-ups, in which the two appear to be imitating each other. Wilbur is struggling in the stockade where Dracula has stowed him. A few minutes later, Dracula is in a death duel with The Wolf Man. The grimaces on both Wilbur and Dracula make them look very much alike. 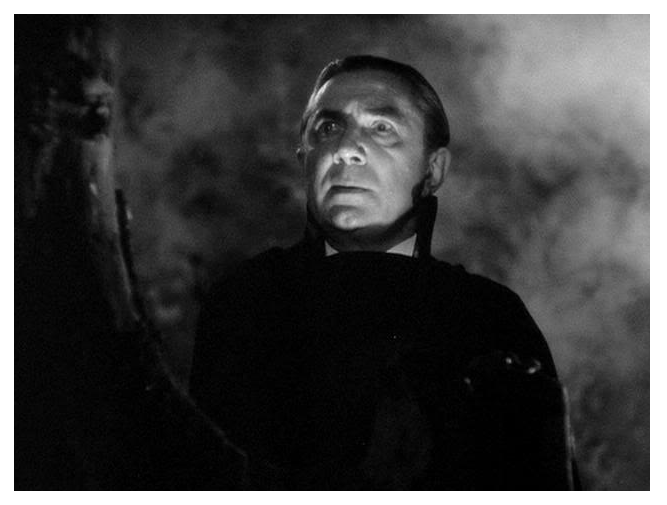 The links between Wilbur and Dracula, between Costello and Lugosi, may be coincidental. Intentionally or not, Abbott & Costello Meet Frankenstein is crafted to make a Costello fan into a Lugosi fan. That is what happens to me. The climax of Abbott & Costello Meet Frankenstein ties the threads of the plot together. The Monster disposes of Sandra, who would have removed his brain, and pursues Wilbur, who would have supplied a new one. The Wolf Man, loose in a castle filled with potential prey, immediately attacks Dracula. At age 11, I have yet to learn the history of Talbot and his fellow monsters, but obviously a showdown between werewolf and vampire has long simmered. I am unaware of the subtexts; but I feel the power of myth taking hold of me. 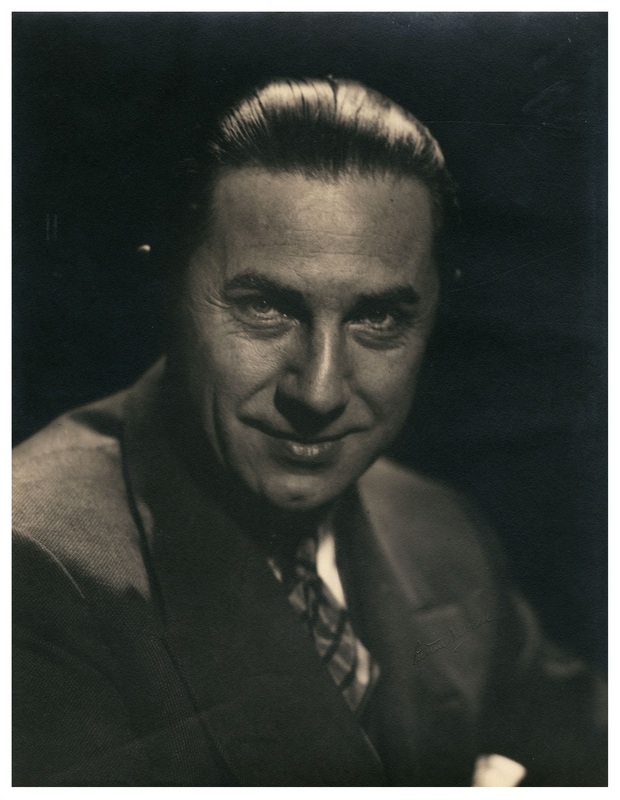 The charms of the movie and of Lugosi’s performance, and of whatever psychic forces lie within me, conspire to make me a monster fan forever, and start me on a quest to learn all that I can about Bela Lugosi.